Seals/o-rings can leak after being exposed to damaging piston surfaces or sample contamination. Shaft ends wear over time, especially when high force is applied to mounting tips. Piston surfaces can deteriorate over time, leading to premature seal failure and pipette inaccuracy. 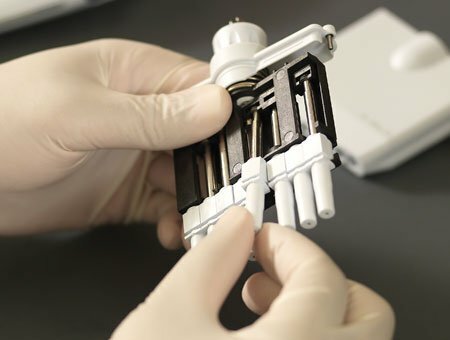 Because pipette failure rates vary from brand and type of pipette, a "risk-based" approach to pipette maintenance is recommended. Liquid leak tests is performed by setting the pipette to the maximum volume and aspirating water into the tip, then withdrawing the tip from the liquid and waiting 15 seconds to monitor if leaks occur. Vacuum leak test uses pressure transduction to monitor if leaks occur in the pipette sealing system. Both of these types of leak tests can be performed on site by lab personnel or a service provider. 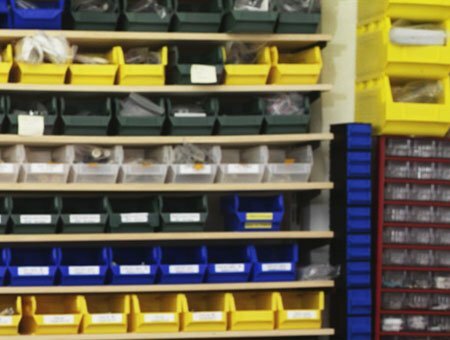 Every pipette component is designed and manufactured to exact specifications and contributes to the instrument's accuracy and performance. Matching materials and specifications for most parts is virtually impossible, which is why METTLER TOLEDO does not use parts that have been re-engineered. 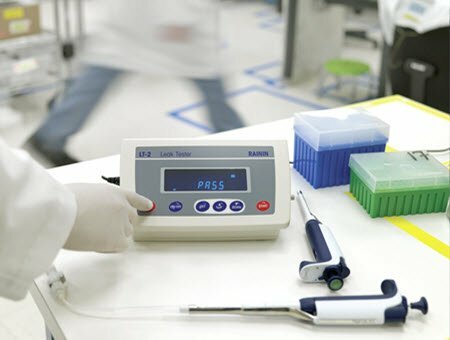 Pipette preventive maintenance and calibration service significantly reduces costs, risks and liabilities associated with out of calibration pipettes.